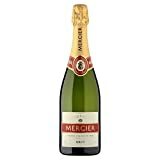 Looking for some excellent Mercier Champagne? Compare current prices from major UK merchants and use our exclusive vouchers. If you wish to find the best quality at the lowest possible price, look into reviews, awards and Price History of each product. Sign up to Price Alerts and we will email you about latest discounts on your favourite bottle. 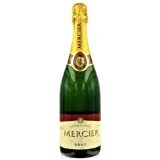 The Mercier Champagne house was originally founded in 1858. It is located in the Epernay region and produces both vintage and non vintage cuvee. Mercier originally owned the right to Dom Perignon but sold them to Meot et Chandon in 1930. Now the house is the most popular Champagne bought by the French domestic market and is growing a larger share of the international market year on year.